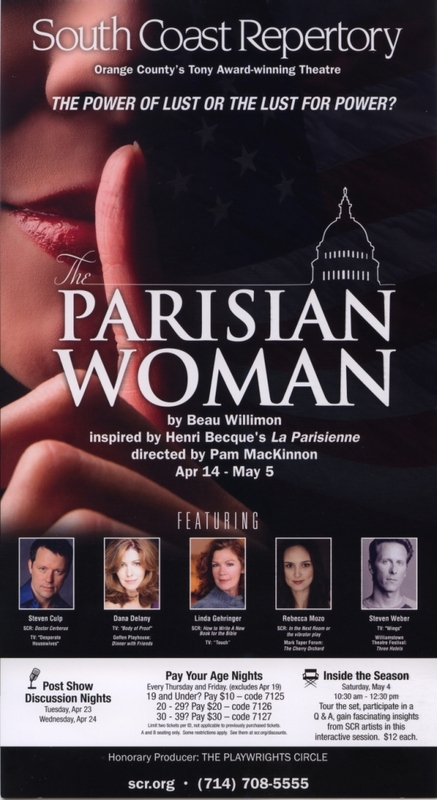 Steven Culp in "The Parisian Woman"
Running time: Approximately 90 minutes; there is no intermission. Recommendation: Contains smoking, adult language and situations. 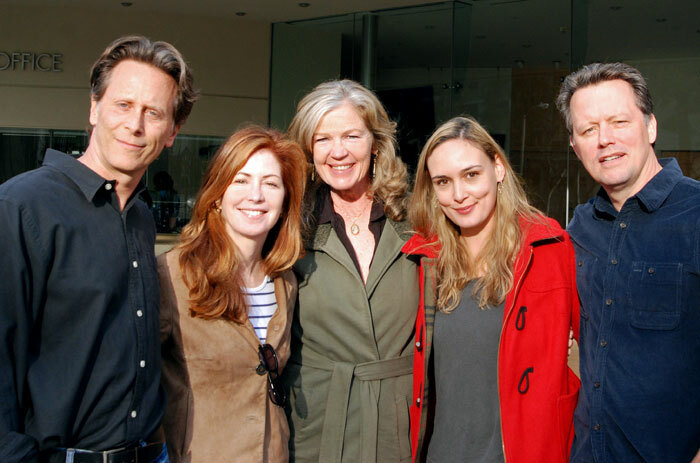 Press Coverage of "The Parisian Woman"
The cast of "The Parisian Woman"
Steven Weber, Dana Delany, Linda Gehringer, Rebecca Mozo and Steven Culp. Rebecca Mozo, Linda Gehringer, Steven Weber, Dana Delany and Steven Culp. 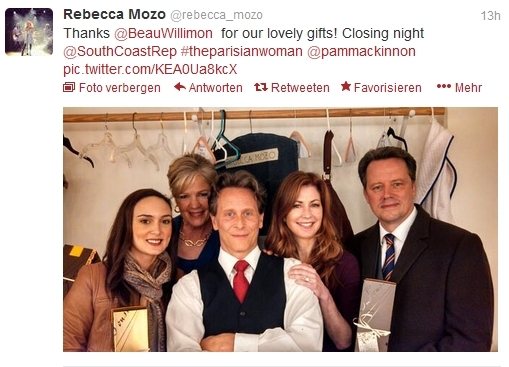 Tweet posted May 5, 2013 after the finale performance of "The Parisian Woman"
which ran April 26-28, 2013. 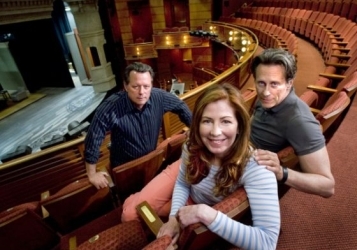 Steven Culp, Dana Delany and Steven Weber in South Coast Repertory's 2013 world premiere production of The Parisian Woman by Beau Williimon. 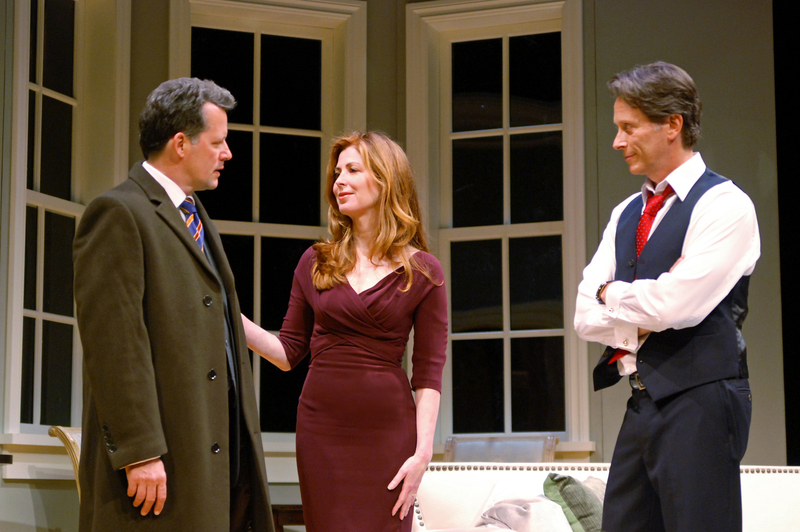 Dana Delany, Steven Weber and Steven Culp in South Coast Repertory's 2013 world premiere production of The Parisian Woman by Beau Willimon. Steven Culp courtesy of South Coast Repertory. Beau Willimon is the writer-producer of the Netflix mega-hit "House of Cards," and his play Farragut North won rave reviews before hitting the screen as the Oscar-nominated The Ides of March. 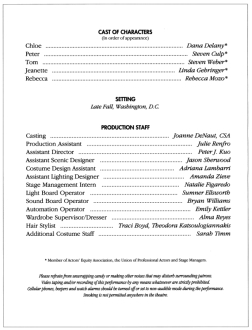 Willimon sets his new play in the Capitol Hill section of Washington, D.C., where powerful friends are the only kind worth having. This contemporary slant on a scandalous French comedy about bad conduct in high places is swift, savvy and impossible to resist. Tom is a lawyer in the private sector, with his sights on a government job. Chloe is beautiful, bright and bored. But she has a passionate side, and it has nothing to do with her love affairs. How far will they go to achieve political stardom? The New York Times calls director Pam MacKinnon one of the "new power players of Off Broadway, staging some of the most critically acclaimed productions in recent years." 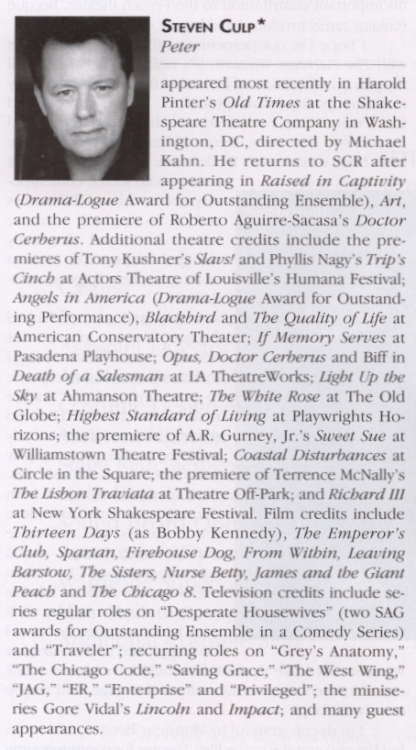 MacKinnon returns to South Coast Repertory, where she's directed three previous productions (on stage and staged readings). [...] We talked on a range of topics with MacKinnon. You've said that you're attracted to writers who pay attention to the "muscular potential of language." What does that phrase mean? I am attracted to wordy plays populated by loquacious people who understand the power of language. Even if at times inarticulate, the characters, I like, wrestle with language to make their cases. I like actors who innately attend to the muscular potential of language, which means they have to listen attentively and are affected by what is said, making what is on the page alive and in the moment. In The Parisian Woman, battles are won and lost in conversation; it is a play of quick-witted people. What's your favorite moment in The Parisian Woman? Oh, it's the final scene with Chloe, Peter and Tom. The structure of stripping down to the truth and then building up a new lie so that life can go on, delights me. 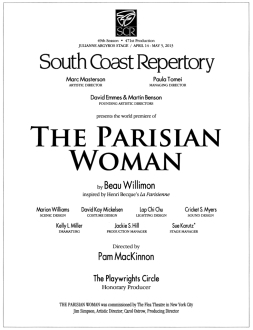 What do you hope audiences will come away with after seeing The Parisian Woman? I hope audiences leave wanting to talk about what they've just heard and seen. 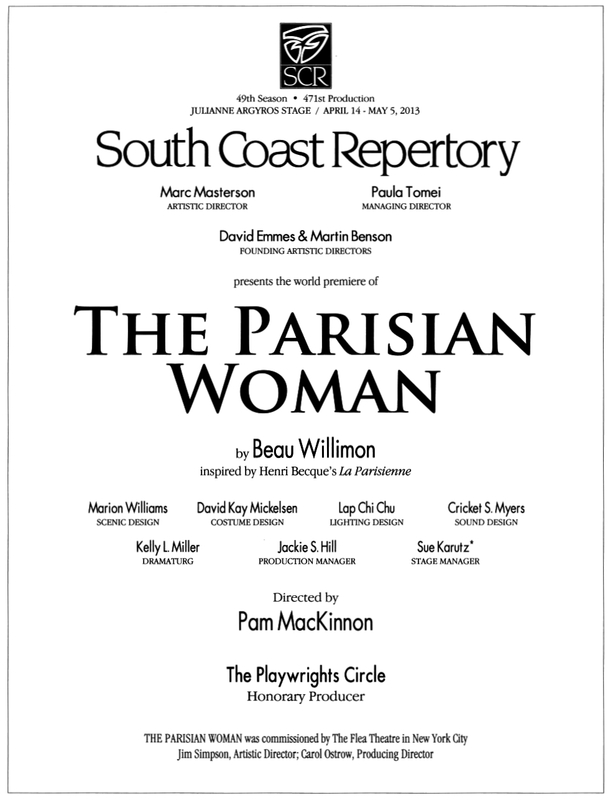 South Coast Repertory's world premiere of Beau Willimon's The Parisian Woman opens tonight, April 14. 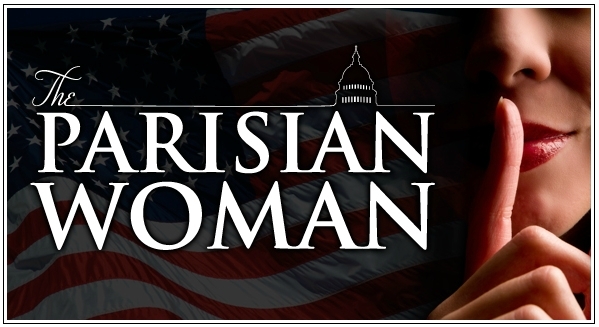 Willimon sets The Parisian Woman in the Capitol Hill section of Washington, D.C., where powerful friends are the only kind worth having. This provocative comedy about bad conduct in high places puts lust in bed with ambition. 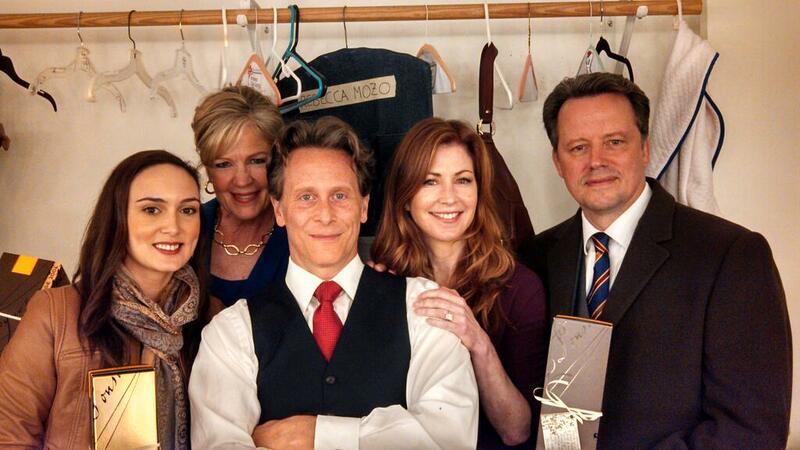 At the center is Chloe (Dana Delany), an über-operator armed with charm, wit and sensuality. She uses all the arrows in her quiver to help her husband, Tom (Weber), nab an important government post. Find out how far this unorthodox couple will go to climb up the political ladder. 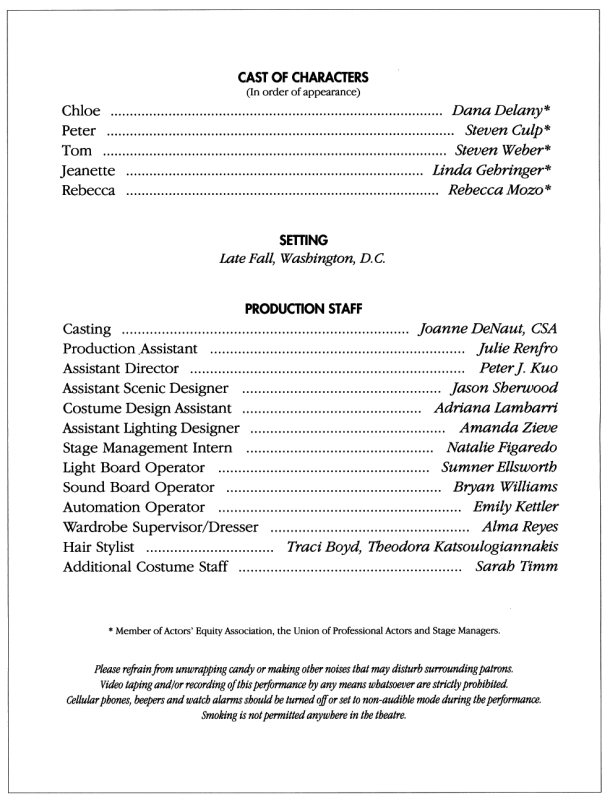 The cast includes Steven Weber as Tom, Steven Culp as Peter, Linda Gehringer as Jeanette, and Rebecca Mozo as Rebecca. 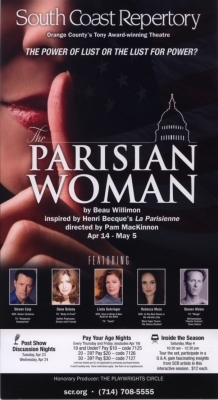 "The Parisian Woman," loosely adapted from the 1885 comedy "La Parisienne" by Henry François Becque, is set in the world of contemporary Washington politics and follows the story of a woman who is part of a political power couple. 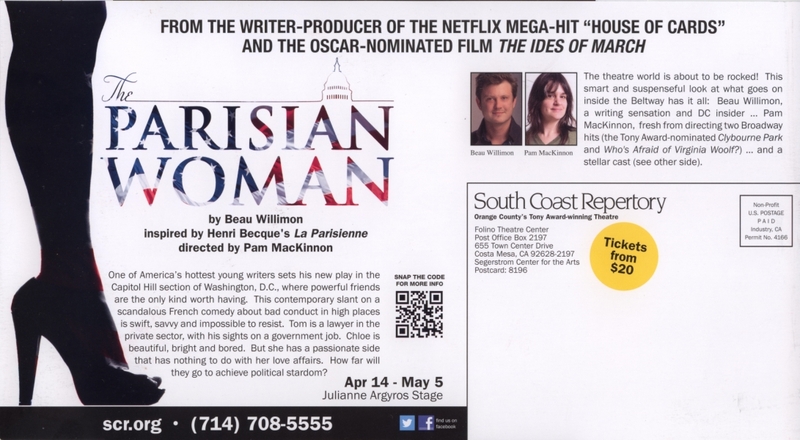 One of America's hottest young writers, whose play Farragut North won rave reviews before hitting the screen as the Oscar-nominated Ides of March, Beau Willimon sets his new play in the Capitol Hill section of Washington, D.C., where powerful friends are the only kind worth having. This contemporary slant on a scandalous French comedy about bad conduct in high places is swift, savvy and impossible to resist. Tom is a lawyer in the private sector, with his sights on a government job. Chloe is beautiful, bright and bored. But she has a passionate side, and it has nothing to do with her love affairs. How far will they go to achieve political stardom? Talk about a stellar team at SCR! One of the country's hottest directors -- Pam Mackinnon -- is set to direct the world premiere of "The Parisian Woman" by Beau Willimon -- he's one of the country's hottest writers ("House of Cards," "Ides of March"). And casting to date includes Dana Delany, Steven Culp, Linda Gehringer and Rebecca Mozo.